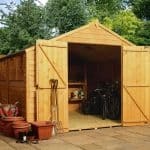 This 6 x 6 apex shed is well-built and extremely practical to use. 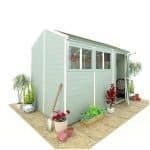 The shed benefits from an apex roof. 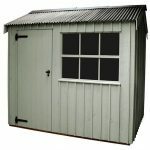 This means that you can use the shed to its advantage, by using it to store taller items. 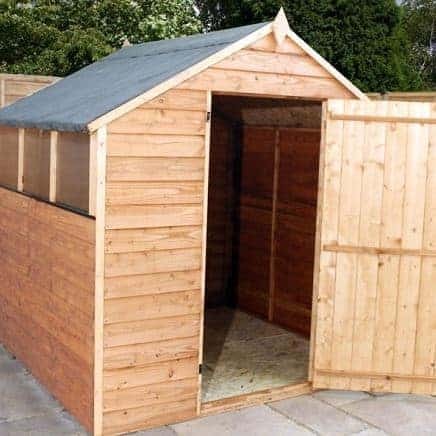 It also brings more headroom. 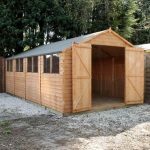 This has been constructed from high quality wood, and there is 7 mm overlap cladding giving extra protection against rainwater. 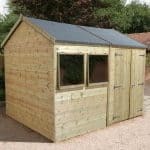 The roof has been made from 8 mm solid sheet board, which results in a stronger roof, and this has been covered by sand felt for more protection against water collection. 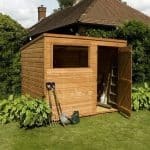 A 10 year anti-rot guarantee is part of the durability behind the shed.